Rain, snow, sunshine can be experienced in Fort Wayne in one day or over the course of a week. The weather in Fort Wayne is not always all over the board, there are the extremes, but there are also those sweet summer nights where the cool breeze washes away the heat of the day. 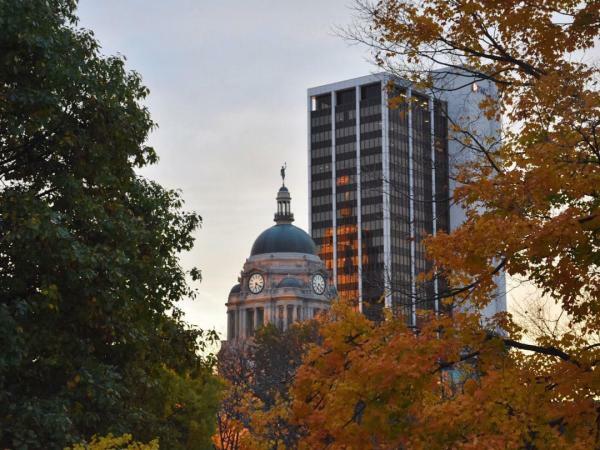 There is always something to do, explore, enjoy, in Fort Wayne no matter the weather! Believe it or not, if it is a rainy summer day in Fort Wayne between April and October, take a trip to the Fort Wayne Children’s Zoo. When it is rainy that means the crowds have dispersed, the animals are out enjoying the sweet relief from the heat, and it is the perfect time to take your time exploring all of the hands-on activities, exhibits, and rides at the zoo - just be sure to pack your umbrella and leave behind any expectations of staying completely dry. If it is a windy day in Fort Wayne, no need to change your outdoor adventure plans! 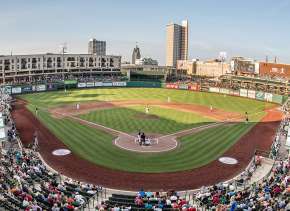 Keep your tickets for the TinCaps Baseball Game, your intentions to explore Fort Wayne’s three rivers, and your evening at an outdoor concert. On a cool spring day in Fort Wayne, you don’t really need to change your plans. Of course, indoor fun would be ideal if you had little ones. We recommend Science Central for hands-on science fun! 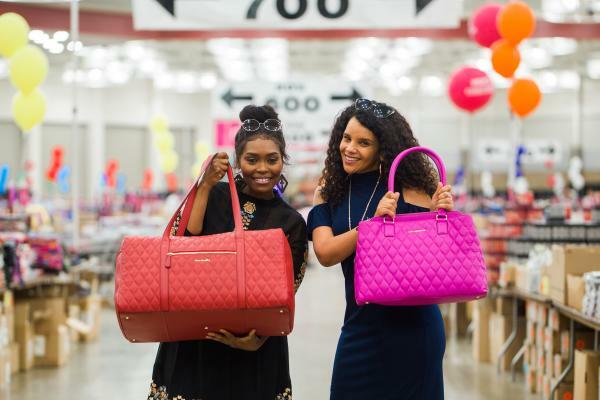 For a girls trip, the Vera Bradley Annual Outlet Sale usually is the perfect event to enjoy a cool spring day in Fort Wayne. Get outdoors on this rare warm spring day! Discover Fort Wayne’s more than 100 miles of trails, explore the public murals dotted throughout downtown Fort Wayne, and breath in the fresh air at our beautiful parks. Some highlights include Freimann Square and Foster Park for their beautiful tulips! 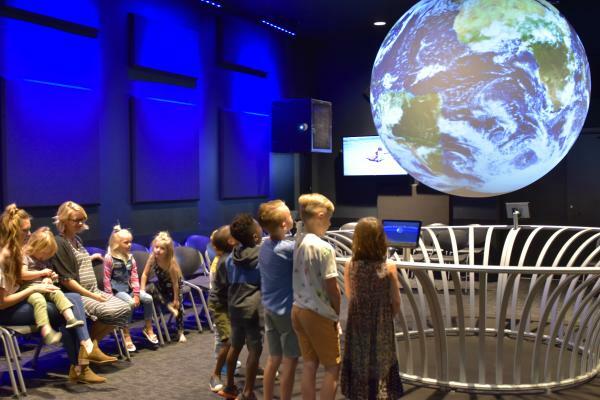 If storms are forecasted, we recommend you change your plans up and explore some of our indoor museums, attractions, boutiques, and restaurants. Take your time exploring the latest exhibits at the Fort Wayne Museum of Art and Artlink, or sink your teeth into decadent treats at DeBrand Fine Chocolates. Better yet, see if they’re offering a facility tour at their Auburn Road location. 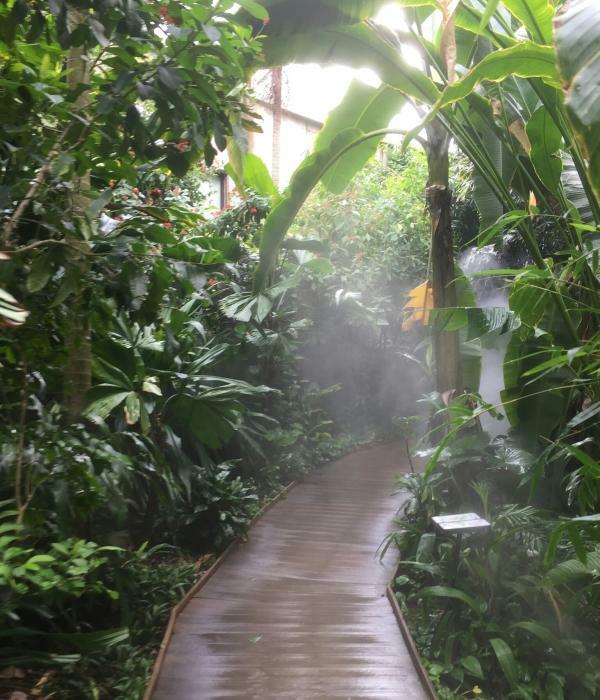 If you’re looking to fill your afternoon, take a visit to Science Central and the Botanical Conservatory. Plus, be sure to pack an umbrella and raincoat! You never know when a downpour will come. 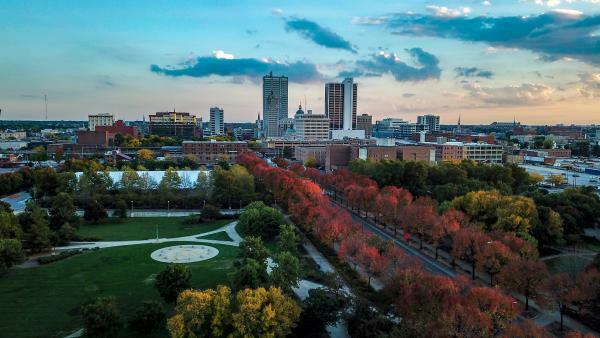 Although we like to joke about Indiana’s weather, we are fortunate to have many perfect sunny summer days for enjoying all that Fort Wayne has to offer. 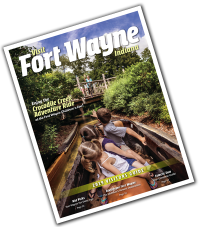 On these days keep your intentions to explore the Fort Wayne Children’s Zoo, take that kayak trip to explore Fort Wayne’s three rivers, explore our new downtown murals and Promenade Park, and soak up that glorious summer day! The heat of summer is not a joke, and when the humidity rises so do our patience levels. 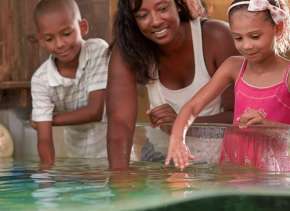 Mix up your plans a bit by enjoying an outdoor activity like a festival or the Fort Wayne Children’s Zoo, but also make plans to cool off indoors with activities like exploring many of our indoor entertainment facilities. If you want to enjoy an evening TinCaps Baseball Game, be sure to grab tickets for the third base line so that the sun is behind your backs! When September hits and the Johnny Appleseed Festival is setting up shop, we like to think that fall is just around the corner. Don’t throw on your favorite chunky knit just yet. The cool mornings and warm afternoons can trick you into thinking it is the perfect time for your fall attire. 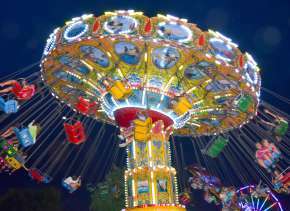 No need to change up your plans of exploring outdoor festivals like the Kuehnert Dairy Farm Fall Festival or the Wild Zoo Halloween, just be prepared and dress appropriately. These are also the perfect days to pick some apples at the apple orchard or explore the fall color along Fort Wayne’s trails. During cool fall weather, break out your favorite knit sweaters and hats for the perfect weather to explore parks like Fox Island and Eagle Marsh, which are perfect for catching sights of Bald Eagles and beautiful fall color. A cool fall day in September is also the perfect time to take a visit to the Fort Wayne Children’s Zoo! Of course, the beautiful weather in Spring, Summer, and Fall can’t stay around forever and it slowly turns to winter. 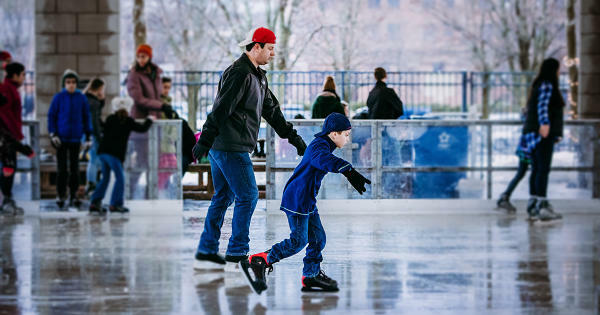 When the winter chill sets in, opt for indoor activities at our entertainment facilities, minor league sports like Komet Hockey Games and Mad Ants Basketball Games, and indoor museums and attractions like the Botanical Conservatory! After the roads have been cleared, and the sun is out to warm your backs this is a great time to explore the great outdoors. We don’t recommend you stay out forever but take a walk along Fort Wayne’s trails to get a different perspective or grab your cross country skis and enjoy the trails at Fox Island. You really can enjoy all of these activities and events no matter the weather - depending on the extremity and season, but just be prepared with the necessary gear.